Recent MBTA news and advocacy battles encouraged me to record a podcast to counter the dominant narrative. Let's review what's causing this mess and how to stop the bleeding and operate a reliable and effective network. Why a well functioning and affordable T should matter to everyone, because we all depend on transit even if we never use it (some of the reasons). And right now it's neither. The population of Boston has increased 10 percent since 2004 and T ridership is up 30 percent on major lines, causing severe overcrowding, yet no significant improvements have been made since at least 2000, and service quality is declining. People cite transit as a primary reason the want to live in big cities. The MBTA is chronically underfunded, promoting inefficient operating practices such as a reliance on overtime, deferred maintenance and an inability to plan for upgrades. Instead of addressing these problems, the control board has chosen to vilify transit workers. Rapidly rising rents and declining wages have forced large numbers of people to move to places with slow, infrequent and expensive transit service. We have repeatedly cut service and raised fares on these "low ridership" services, while ignoring others with great potential. Fares impact everyone, including those most vulnerable to rising costs, middle class riders who are more likely to choose other options, and everyone impacted by increase traffic on our streets (i.e. everyone). Bus, subway and commuter rail fares have more than doubled since 1991, while the gas tax has increased only 3 cents. Like transit, roads and highways are heavily subsidized, yet only transit riders are being asked for more. Governor Baker says a fee is a tax, but apparently not if it's a transit fare. Finally I discuss several alternatives to raise revenue -- focusing on better and faster service -- without increasing the fee for users. But no efficiencies will fill the $7 Billion budget gap -- and that's just to reliably run what we have, never mind desperately needed upgrades. A transit network is a valuable public service, not a business, and it's time we started treating it like one. Comments? Suggestions? Please visit CriticalTransit.com, email feedback@criticaltransit.com. Follow me on Facebook and especially Twitter @CriticalTransit and follow and support my work in Boston via TransitMatters.info. Your support goes a long way! Finally a new episode with your feedback as well as some thoughts on recurring transit strikes and worsening climate change. 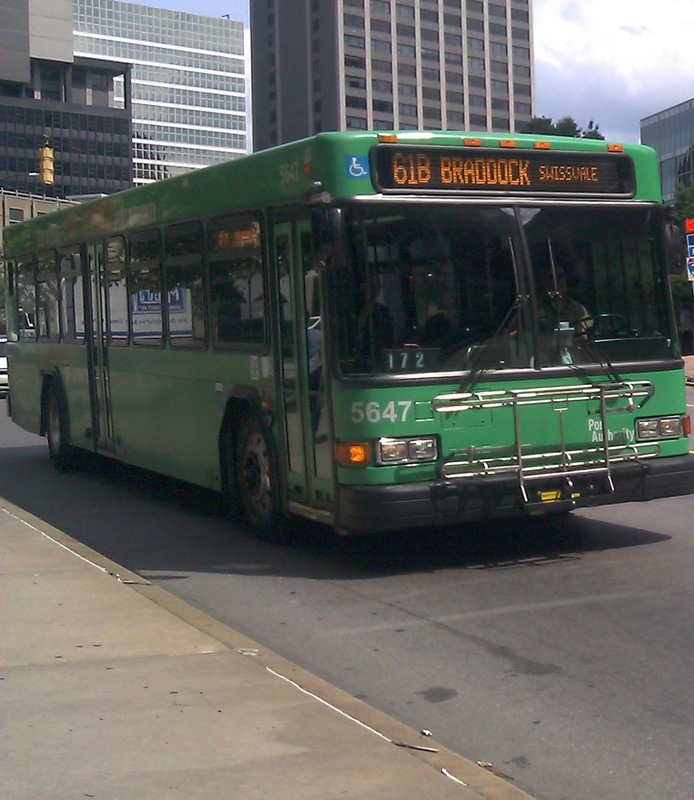 I share some lessons from my experience riding buses and trains in Pittsburgh, including what kinds of information is important to visitors, new residents and seasoned transit users. San Francisco BART transit strike; flooding in Calgary and Toronto; train explosion in Quebec; good news for wildfires; Progressive Podcast Australia; Bikes on Metra commuter rail (The Chainlink forum); riding Divvy bike share (Chicago); Port Authority of Allegheny County (Pittsburgh bus/rail operator); Bike PGH; struggling city of Braddock; ("mini-Detroit"); Stockholm congestion pricing; Bill Lindeke, GaryRidesBikes, Copenhagenize, StrongTowns, walking_boston, bostonrailfan, TheTAdventure. UPDATE: Walking Bostonian (@walking_boston) wrote a great summary of the transit situation in Pittsburgh. Please contribute to the growing conversation about sustainable transportation and spread the word by sharing my work on your favorite social media outlets. Send in your feedback by emailing feedback@criticaltransit.com or using the contact form at criticaltransit.com.